National Park Week 2019 runs from Saturday, April 20th, through Sunday, April 28th, with a “fee-free” day on the 20th to kick off the week of celebration. Other “fee-free” days during 2019 are August 25th (the birthday of the National Park Service), September 28th (National Public Lands Day) and November 11th (Veterans Day), so mark your calendar accordingly. Spring is a perfect time of year to get out and enjoy our national treasures, and many of our National Parks have special events scheduled during the week. 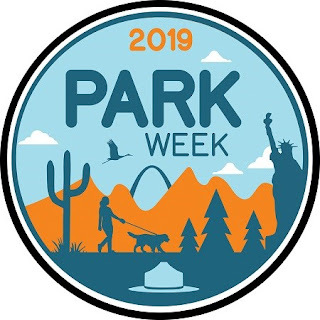 Plus, the National Park Service has assigned a theme to many of the days during National Park Week such as Junior Ranger Day on April 20th and Bark Ranger Day on April 27th. (Yes! Some National Parks and Monuments do allow pets!) National Park Week focuses on the beauty and benefits of these glorious public lands – OUR public lands - and the countless opportunities that exist for us to enjoy them. After giving this question a great deal of serious thought, I confess that the short answer is none of them and the long answer is a bit more complicated. If you keep in mind that neither Alan nor I are big history buffs, you’ll understand why we tend to focus on the more natural and scenic Parks and Monuments. In fact, when we were discussing our favorite vacation activities a few days ago, we agreed that being out in nature was #1 on our list of enjoyable travel experiences. Walking, driving, biking, hiking, boating and paddling through the great outdoors are the travel activities closest to our hearts. Didn’t that work out well? If one of us loved museums and the other loved mountain biking, vacation planning would involve a lot more compromise than it does now, that’s for sure. 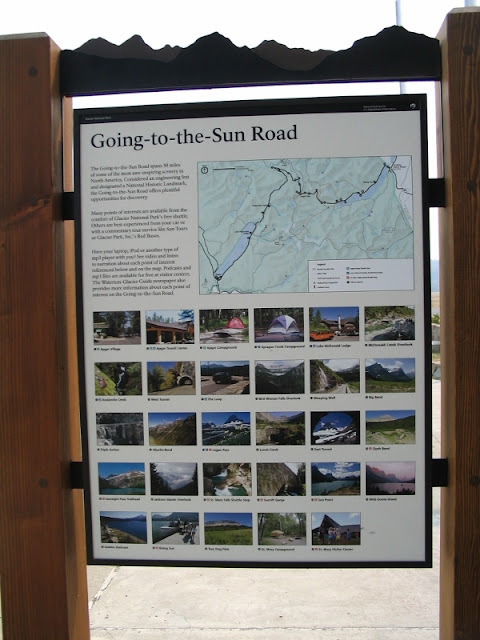 The difficulty in choosing a favorite National Park lies in the diversity of the Parks themselves since they contain a wide variety of environments – mountains, oceans, lakes, rivers, plains, deserts and urban areas. The location and features of a Park determine its personality and, for me, it’s this individual Park personality that draws me in. No two National Parks are alike. Their characteristics can differ so greatly that it’s actually hard to compare them. For example, consider the rolling dunes of Great Sand Dunes (Colorado) vs. the enormous Gateway Arch (Missouri), both of which I recently wrote about - I find it extremely difficult to say that I enjoyed one more than the other. They are nothing alike and yet both are impressive and appealing, and here’s the key: they deliver entirely different, yet memorable, experiences. Even Parks that share similar features such as mountains are often completely different from each other depending on how and when those mountains were formed and in what area of the country they’re in. Driving the Cades Cove Loop in Great Smoky Mountains National Park (Tennessee and North Carolina) is a world away from traveling the Going-to-the-Sun Road in Glacier National Park (Montana) and yet a visitor is immersed in the magnificent beauty of the mountains and intrigued by the resident wildlife in both Parks. How can anyone choose a favorite when so many of our National Parks are just so spectacular?! We live in the heavily forested mountains of the northeast, which are less jagged, much more rounded than and nowhere near as tall as the Rockies. So, the mountains of Acadia National Park (Maine) feel much like home to me. 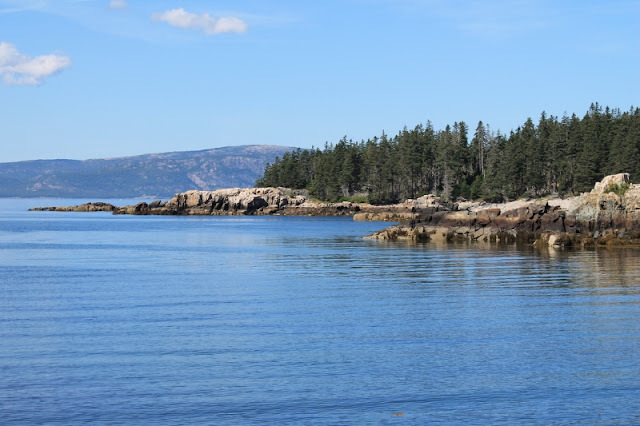 Combine those mountains with the rugged ocean shoreline, wooded campgrounds, unique hiking trails, miles of carriage roads for biking, lovely lakes for kayaking and popovers on the lawn of the Jordan Pond House and Acadia quite easily earns a place on my list of favorites. Redwood National and State Park (California) has a rugged coastline and forests like Acadia, but it also has prairies that are home to a large number of elk, a watery canyon dripping with ferns (where part of Jurassic Park was filmed) and, of course, those unbelievably regal and impressive redwood trees. 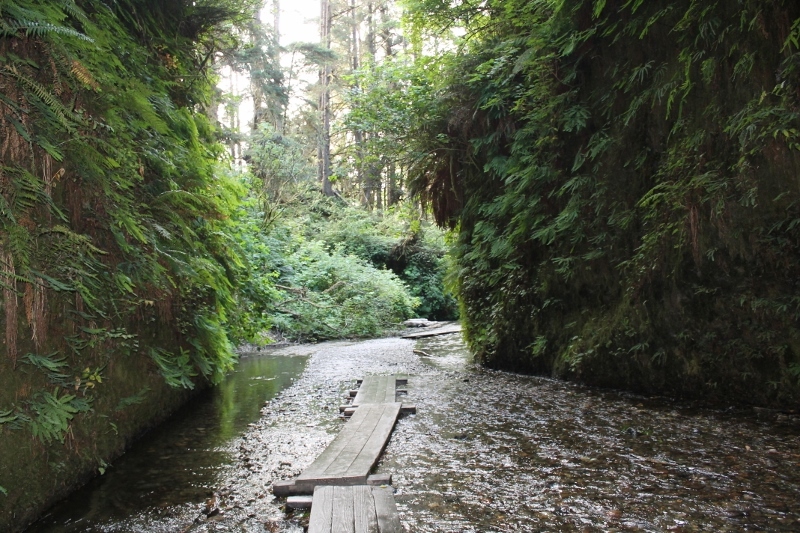 The Fern Canyon hike would appeal to the kid in any of us. Who wouldn’t enjoy peeking around the next corner of the canyon pretending to see if a prehistoric creature might be lying in wait? Stout Grove, an ancient coastal redwood forest, contains an easy half mile loop that showcases a number of gigantic and awe-inspiring redwoods. It is a place that demands hushed tones, wide-angle lenses and quiet respect for these massive and majestic trees. I would dare anyone to explore the wild and scenic places within Redwood National and State Park and then harden his or her heart to the magic of nature. It would be impossible for this Park not to be one of my favorites. 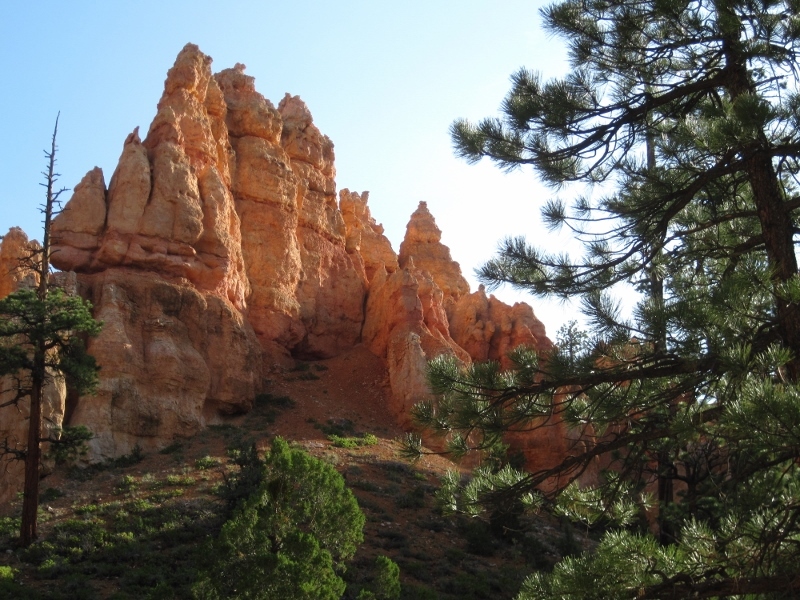 The scenery at Bryce Canyon National Park (Utah) is about as far as you can get from that of Acadia or Redwood. Instead of a lush, green landscape, visitors to Bryce are greeted with views of the rocky hoodoos and bristlecone pine trees that survive in the harsh conditions that would kill nearly all of the vegetation in Acadia and Redwood. But those hoodoos with their magical names – Thor’s Hammer, Wall of Windows, the Poodle – quickly worked their way into my heart. One of the most popular trails at Bryce, a loop combining the Navajo and the Queen’s Garden Trails, allows you to literally immerse yourself in the hoodoos as your work your way down into the canyon and back up, surrounded by unusual rock formations in rich shades of red, orange and brown. The vistas from the scenic viewpoints along the rim are glorious, but having the opportunity to actually wander at leisure among the hoodoos is what makes Bryce Canyon one of my favorites. For years, Yosemite National Park (California) had been on our Bucket List, but Alan and I knew the time to visit needed to be exactly right. 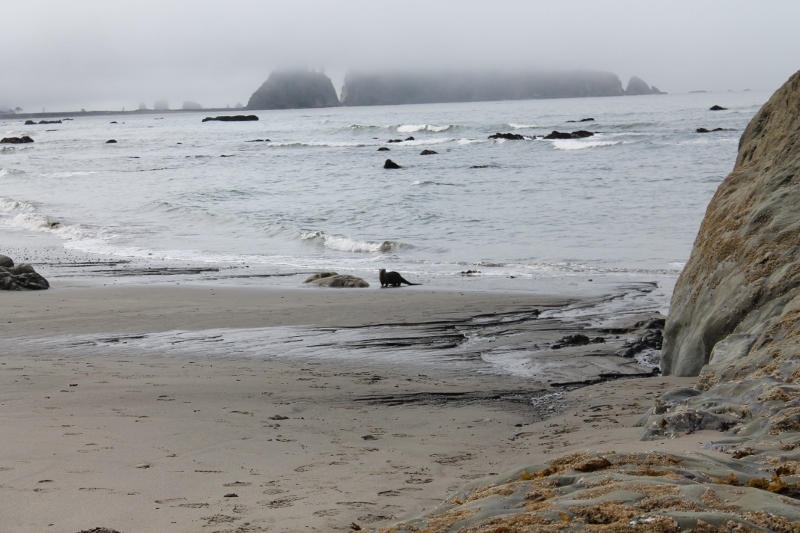 To travel by RV across the country and have enough time to explore the National Parks along the west coast would require a block of time at least four or five weeks long. We worked it in immediately after our daughter Kyra’s high school graduation in 2017. Our son, Ryan, was 23 at the time and unable to accompany us due to work obligations. So sad. (I’ll be right back – I need to grab a tissue.) Yosemite was, of course, a highlight of that trip and the iconic panorama of Yosemite Valley from Tunnel View will forever be imprinted in my memory. 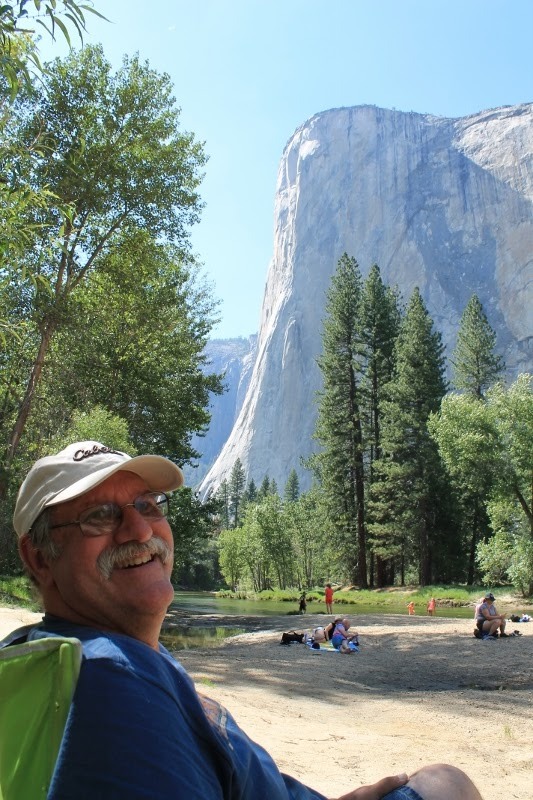 But, interestingly, the Yosemite memory that proved to be most meaningful to me was the afternoon we spent at the small, quiet Cathedral Beach, enjoying the refreshing Merced River as we played and relaxed beneath the watchful eye of El Capitan. I think it was at that moment that the truth finally hit me – we had made it to Yosemite and we were blessed to be soaking up in-person views of Half Dome, El Capitan and Glacier Point, places that, until then, had only been words on a list and photos in other people’s albums. These were the very same views enjoyed by conservationist John Muir, who has often been called “the Father of our National Parks.” Muir believed that God revealed himself through nature, and I cannot disagree. 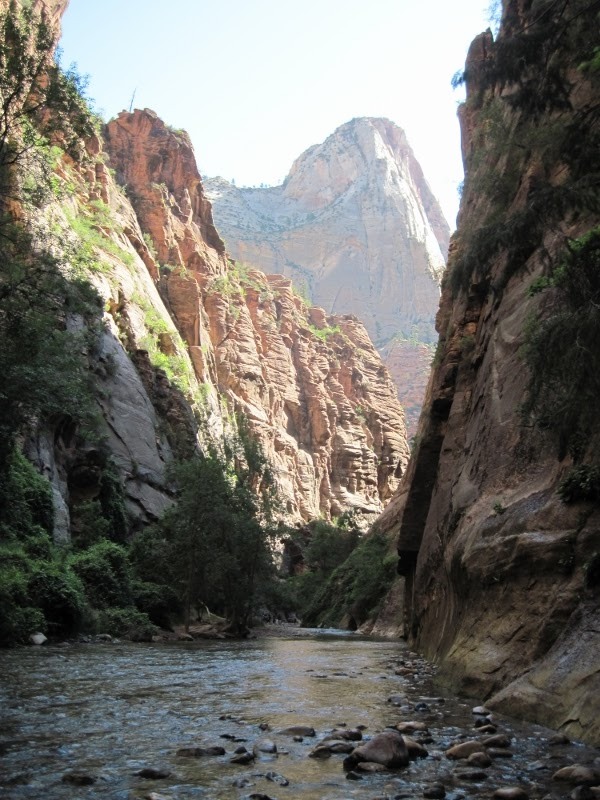 How could this wild and scenic wonder – a sacred place to my hero, John Muir, not become one of my favorite National Parks? Theodore Roosevelt National Park (North Dakota) was an add-on - just like the can of McCafe Breakfast Blend coffee on my last Amazon order. We planned to visit it on our way back from our West Coast National Parks trip simply anticipating that we’d be able to check another National Park off our list. Wow! Did we underestimate this Park! These were the ranch lands to which Teddy Roosevelt retreated after his mother and his wife died on the same day back east. 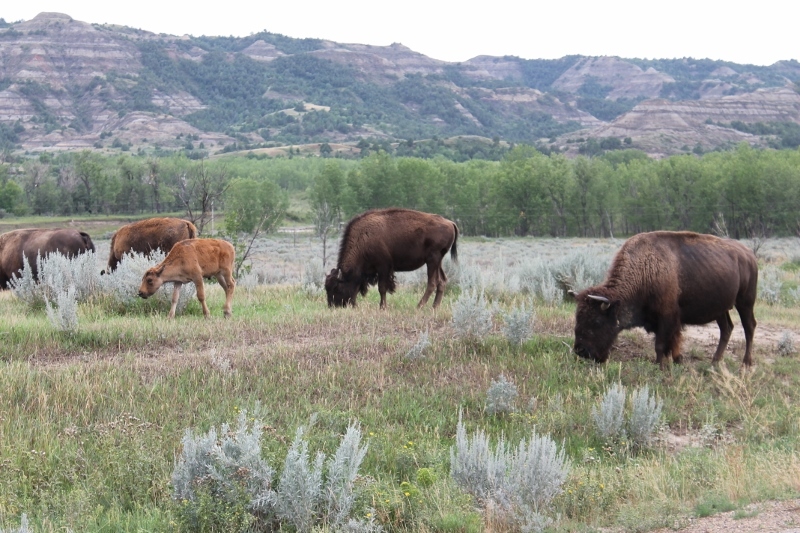 It was here in the Badlands of North Dakota that Roosevelt’s conservationist views were born of his personal concerns for the land and its wildlife. The scenery at this National Park was much more beautiful than we had imagined, but it was the variety of wildlife that made our visit here so special. The bison, the wild horses, the small herd of longhorn cattle that the National Park Service still cares for as did Teddy Roosevelt and the other ranchers in that area and, of course, the adorable prairie dogs with their silly antics all made for an entertaining visit in a gorgeous location. Honestly, I still feel guilty about how I underestimated this National Park. But guilt isn’t what put it on my list of favorites. What did it for me were the many opportunities we had to explore the Badlands and enjoy a wide variety of wildlife. It is a National Park like no other. I could go on. Seriously. Even the National Parks I would not consider favorites all have unique and memorable features. And the ones I do consider favorites, well, that list just seems to grow longer and longer. In fact, part of the reason we haven’t checked off more National Parks on our list is that we end up going back to those that we really enjoy including Acadia, Yellowstone, Glacier, Grand Teton and Rocky Mountain. You may notice that I’ve used the word “unique” several times in this post. It’s really the unique characteristics of our National Parks that provide such memorable experiences and prevent me from naming just one favorite. We’ve clambered through cliff dwellings at Mesa Verde (Colorado), ridden horses in the Great Smoky Mountains (Tennessee), toured Rainy Lake by boat at Voyageurs (Minnesota), explored tide pools at Olympic (Washington), splashed in the Virgin River (Zion) and celebrated multiple eruptions of Old Faithful at Yellowstone (Wyoming, Montana and Idaho). Thanks to conservationists like John Muir and Theodore Roosevelt, these awe-inspiring opportunities are available to all of us. They are our National Parks, so use them, enjoy them and celebrate them. For additional information on National Park week, just mosey on over to the National Park Service web site (link HERE). Do you have a favorite National Park memory? Or is there, perhaps, a particular National Park on your Bucket List? Please do share in the comment section below! For this, your love letter to our national parks, the NPS should send you well-deserved check, or at least a bronzed pinecone or something. I must say that it reminded me how many of the parks we have not visited and the improbability of our getting around even to the majority of them. It will be okay, however; the drama and grandeur of those in the West (including those you describe so eloquently) will suffice for a lifetime. Besides, I would probably not enjoy the inevitable comparisons I would make after having viewed, with mouth agape, the ineffable magnificence of those west of the Rockies, to which you refer in part. But for you and Alan, gifted with youth and energy as you are, godspeed! If only...sigh. Oh yes, in regard to the license you took in placing the preposition at the end of the phrase, to which you confessed early in your piece, you showed compassion for the readers by writing it in this way. You should know that even I--neurotic that I am--will succumb, wincingly, to using the popular but flawed plebian vernacular at times. This I would do in those cases where fealty to the king's lexicon would sound awkward for those (including almost everyone) who are free of 'language purity OCD', from which I obviously suffer. Even though I would have withheld any public scorn at your tiny transgression--gentleman that I strive to be--I am honored that you cared enough to disarm me completely with your parenthetical acknowledgement that you knew exactly what you were doing. Well done and well played, my friend! Mike, you're not going to actually speak like that when we finally meet, are you? If so, I think I'll bring my dictionary and some ibuprofen. In reference to any kind of recognition from the National Park Service, a bronzed pine cone would fit in perfectly with our home decor! If the NPS doesn't come through, I guess I could get a pinecone from the woods and buy a can of gold spray paint . . .
Well, that's a relief! By the way, you get an A+ in both creativity and obfuscation. It would be impossible to choose my favorite national park too. Each has its own beauty and intrigue. I have my National Park Passport Book and am slowly collecting all the stamps (I wish I had had it when I was little and visited so many parks with my family). It's probably not a popular opinion, but I would just as soon that all national parks banned dogs. Poop on the trails and barking at the wildlife just don't appeal to me. Regarding the pups in the Parks, Janis, I believe it comes down to the same ol' thing - a few bad apples spoil it for the rest. Sadly, we see the same thing in campgrounds, state parks and on bike paths. If we want the pets' behavior to improve, the change needs to begin with the owners' attitude. As for the National Parks Passports, I think they are the most fabulous idea and the best souvenir going! Our kids each have one, but I never started one for myself and I wish I had. (Although, they probably didn't even have Passports back when Alan and I started visiting the Parks 40 years ago!) I'm thinking about getting one this year - not only will it keep us motivated to work our way through the list of National Parks, Monuments, etc., but it would provide a good reason for us to go back to all of the Parks that we enjoyed in the past, too!